Take your first step to a career in emergency management with Massey’s Graduate Certificate in Emergency Management. Emergency management focuses on the organisation of communities to respond to disasters, survive them, rebuild social structures and infrastructure, and sustain and preserve life. Massey’s Graduate Certificate in Emergency Management gives you an introduction to emergency management concepts and incident command systems. You can choose from a wide range of elective courses to target your professional development requirements and personal interests. I completed the Graduate Certificate in Emergency Management as an extramural student at Massey University. 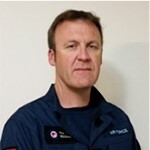 As a Logistics Specialist in the New Zealand Defence Force, my role in coordinating military air, land and sea movements is often in support of humanitarian and disaster relief activities domestically and internationally. Studying emergency management has enabled me to understand the roles and responsibilities of the various organisations that are relied upon in times of need to provide the appropriate response. The ability to understand and manage competing priorities from government agencies and NGOs during high-intensity events is enhanced through an in-depth understanding of the common language of emergency M=management. The concepts and theories behind the phases of Reduction, Readiness, Response and Recovery are relevant when planning and conducting real-time operations. I would recommend the Massey University emergency management programme for individuals that are considering any function within this rapidly expanding and critical industry. The content is relevant and based on real world experience and industry practice. The relevance of this study to my role in Defence has provided the stimulation to learn and put in the hours.